Well, the hurry up and wait game has been real strong this season for the AWS project. 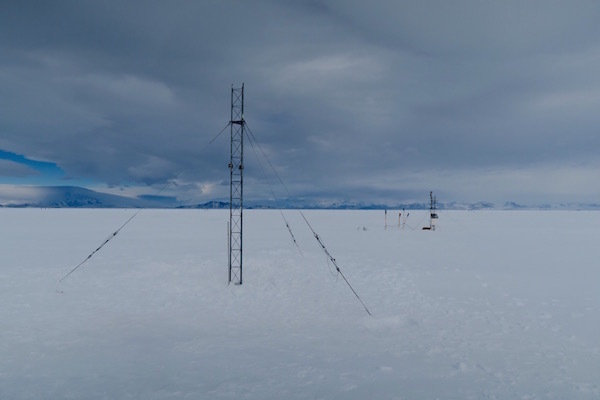 Since writing the last blog post, we’ve driven to the airfields to install the towers, but we haven’t been able to get out to any other AWS. 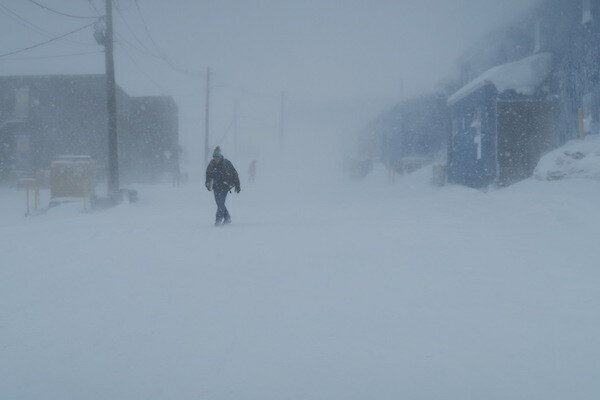 The weather that we’ve been experiencing in McMurdo is the worst I’ve ever seen. According to the weather service, there were 9.5 inches of snow that fell over a 3-day period! That might not seem like a lot but remember that Antarctica is a desert. 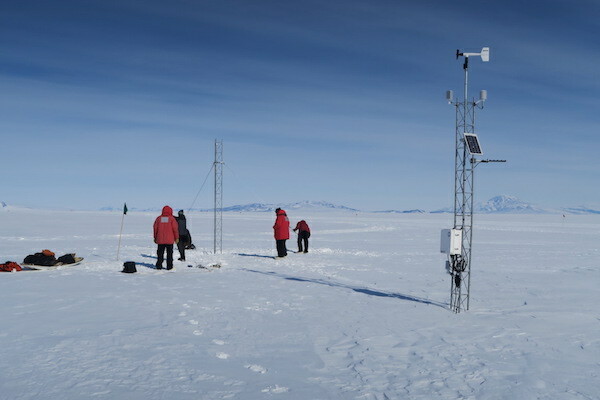 It generally doesn’t snow very much here, and I believe that 9 inches might be an average monthly total snowfall for McMurdo. We’re getting used to weather cancellations at this point, but we did manage to experience the bad weather for fun! As a note, I encourage you all to check out the blog posts that George Hademenos, our PolarTREC teacher, has written over the last month now! 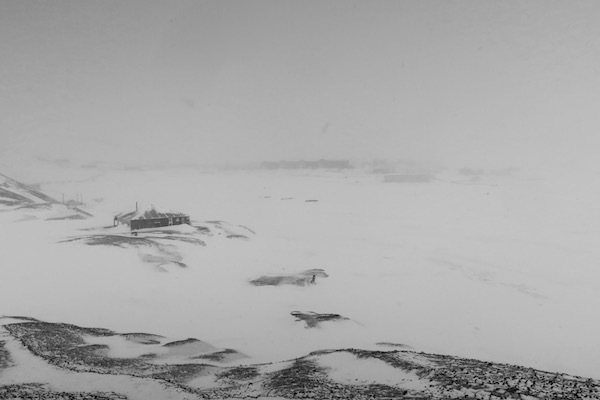 He’s done an incredible job of writing about what’s going on around McMurdo since we haven’t been able to get to our AWS. You can find his journals below. Back to what’s been happening….. or not happening. Early last week we finished setting up the towers at the airfield with O-456 and help from the riggers. We finished installing all the towers on Tuesday, but I needed to go back with the riggers on Wednesday morning to fix one of towers that we couldn’t connect. We worked quickly on Wednesday morning because we could see the storm approaching from the south. 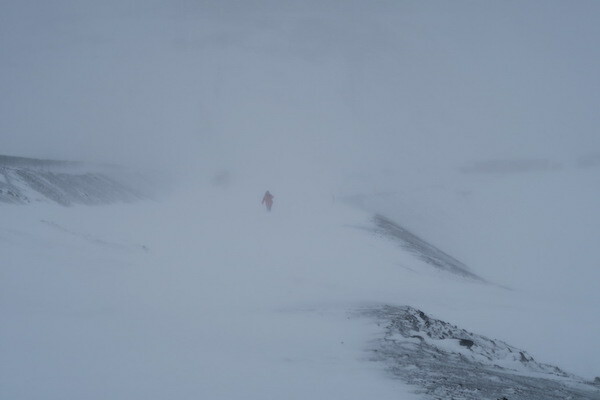 Then the weather turned pretty quickly, and it got so bad at the end of last week that we were in condition 2 weather at McMurdo for the whole day on Thursday and most of Friday. Condition 2 weather is defined as winds 48 to 55 knots for one minute, or visibility less than ¼ miles, or wind chill -75° F to -100° F sustained for one minute. Condition 2 is mostly triggered in the summer when the visibility is less than ¼ mile, and that was the case was for the storm last week. 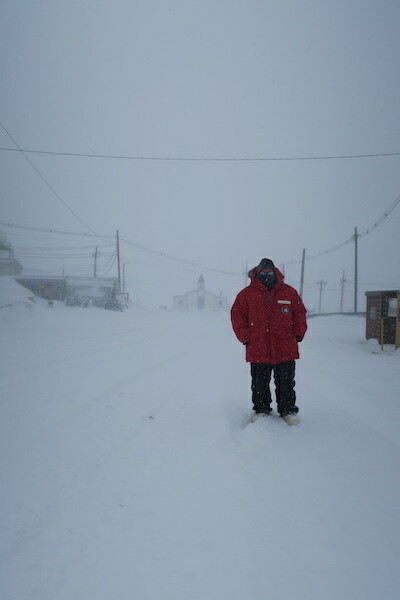 I had never experienced condition 2 weather in Antarctica, so I was excited to experience the bad weather! 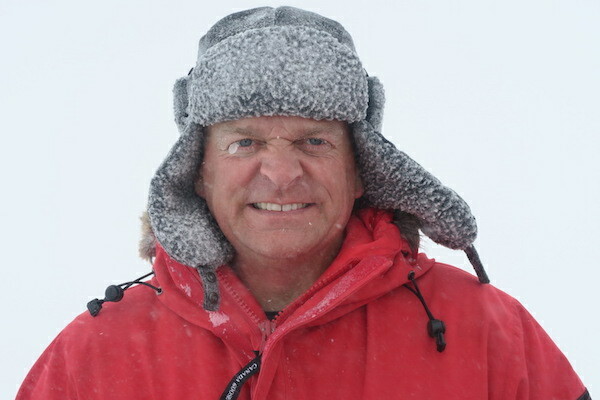 Here are a variety of photos during a walk to we took to Hut Point. And with that, that’s all I have as an update. As I said before, I would highly suggest checking out George’s blog to learn more about what goes on in McMurdo! The AWS team has redeployed!